Tickets are on sale NOW for two great fund-raising events, starring some of the biggest names in Chicagoland Rock of the '60's. First up ... catch The New Colony Six at The Arcada Theatre on Sunday, April 19th. The show kicks off at 4 pm with special guests The Cadillac Casanovas, Denny Diamond ... and promises several other surprises. MC-ing the whole event will be Chicago Sports Broadcasting Legend (and frequent Forgotten Hits contributor) Chet Coppock who ... believe it or not ... worked as a roadie for The New Colony Six at the peak of their career!!! Several groups can lay claim to being part of our best loved Local Heroes ... among them The Cryan' Shames, The Buckinghams, The Ides Of March, The American Breed and The Shadows of Knight ... but the group that started it all ... the group that kicked down the doors so that all of the other groups could step on through ... was The New Colony Six!!! SEVENTEEN charted local hits (including EIGHT Top Ten's) ... and they'll be playing most of them (along with some brand new music) on Sunday, April 19th. Proceeds benefit The Rhythmic Arts Project. Tickets range from $29 to $69. Then, on Thursday, May 7th, it's Chicago Music '60's Style, a fundraiser for Chicago Musician Marty Grebb. Appearing on stage together for the first time in 45 years: Nick Fortuna, Carl Giammarese, Marty Grebb and Dennis Tufano ... playing all THE BUCKINGHAMS’ smash hits and more … Kind of a Drag, Don’t You Care, Hey Baby - They’re Playing Our Song, Mercy Mercy Mercy, Susan ... with special guests legendary drummer and co-founder of Chicago, Danny Seraphine and Anna Grebb. Special guest appearances by Ronnie Rice, The Cryan’ Shames (featuring Tom Doody and Jim Pilster), The Shadows of Knight (featuring Jimy Sohns, David “Hawk” Wolinski and Billy Sullivan), The Chicago Experience Band, Comedian Tim Walkoe and more, including several special guests! Tickets for this event went on sale today and are already moving fast. VIP Seating ($75) includes premium reserved seating, a commemorative signed benefit poster, a vintage Buckinghams photo signed by the original members and early access to souncheck / rehearsal. Visit the OShows Website now and grab your tickets to BOTH events while you still can. If you grew up diggin' the sounds of Chicago Rock, these are shows you are NOT going to want to miss!!! It's Our First Forgotten Hits Give-Away Of The Year! Bill Buster of Eric Records just sent us copies of two recent releases he produced for a UK reissue label called Complete 60s ... and we're going to share a copy of each with two lucky Forgotten Hits Readers! 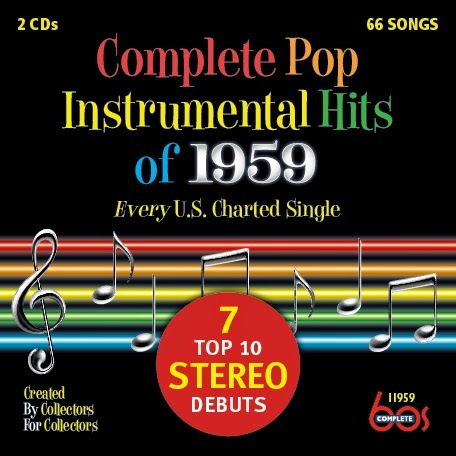 The first is "Complete Pop Instrumental Hits of 1959" and it gives you EXACTLY what it promises ... EVERY Instrumental Chart Hit from 1959 that made Billboard's Hot 100 Pop Singles Chart ... there are 66 in all on two discs, including 21 songs on CD for the very first time. 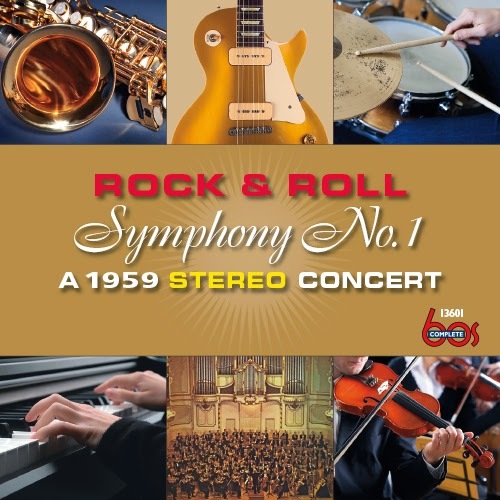 "Rock And Roll Symphony No. 1" features lush orchestral pop arrangements with a real old-school rock & roll back- beat of classic standards performed by artists like Enoch Light, The Knightsbridge Strings, Percy Faith and Raymond Lefevre covering tunes like "The Theme From 'A Summer Place", "Soul Coaxing", "Smoke Gets In Your Eyes", "Deep Purple", "Blueberry Hill", "Cry", "Only You" and "Harbor Lights" ... along with the complete LP "Back Beat Symphony" by The 101 Strings playing 3-minute pop versions of classical themes like Tchaikovsky's Symphony #5, "Romeo And Juliet", "Rigoletto Rock" (Verdi), "Choppin' Chopin" and others, all in audiophile fidelity and the kind of “wide” stereo you remember from the early days. Enter here to win a copy of these great new CD's, courtesy of Bill Buster of Eric Records and Forgotten Hits. We're helping Bill compile a little information regarding the current buying trends and habits of the oldies audience out there ... OUR audience ... we want to know how they currently learn about new releases and make new CD purchases. In an era of declining CD sales, Bill needs to know how you would find his compilations (both past and future releases) if we didn’t tell you about them! Please take just a couple of minutes to answer the three questions below ... and you'll automatically be entered in our special drawing to win a copy of one of these hot, new releases! Please answer as honestly and as thoroughly as you can ... and we'll throw your hat in the ring. (Just email the survey back to forgottenhits@aol.com and we'll take it from there!) Then at the end of the month we'll pick two lucky winners from all the entries received and award each of them a copy of one of these hot new CD's. 1) Are you still buying physical CD's (vs. streaming and downloading music) and do you PREFER to buy such CD's? 3) And finally, If you're one of those who still prefers buying REAL CD's, how do you find out about NEW RELEASES, especially in the oldies compilation field, 1955 - 1980? (Back in the old days, I couldn't WAIT for my next issue of ICE Magazine to come out, letting me know about ALL of the new releases planned for the next few months. I would literally make a list after devouring each and every issue and carry it with me in my pocket everywhere I went just IN CASE I happened to be some place where they might have exactly what I was looking for. Sadly, those days are gone and so are most of the stores I'd frequent). So how and where do you learn about new releases of interest TODAY? Please be as specific as possible. We'd LOVE to hear from you and will make it all worthwhile by awarding a free CD to a couple of lucky winners who participate in our survey ... thanks again, Bill, for your generosity. And be sure to check out the Eric Records site for LOTS more music from the '50's, '60's, '70's and '80's! Joe Mauldin, the bassist for Buddy Holly and the Crickets, died on Saturday morning in Nashville. He was 74. Mauldin was born in Lubbock, TX and played and recorded with the band The Four Teens by the age of 15 in 1955. One day in 1957, he got a call tofill in for bassist Larry Welborn who had been playing with a young Buddy Holly and had recorded his first single, That'll Be the Day. Mauldin readily stepped in and, because of Welborn's busy schedule, ended up slipping into the position of the permanent bass player for the newly named Crickets. 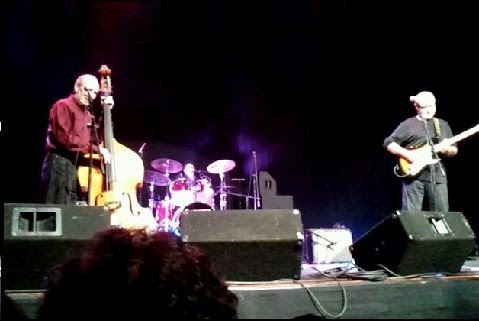 The group, made up of Holly, Mauldin, drummer Jerry Allison and guitarist Niki Sullivan, soon became a trio when Sullivan decided to return to school. They went into a hectic recording and promoting schedule as producer Norman Petty decided to release the group's music under two names with solo vocals going out as just "Buddy Holly" while songs with dubbed backing vocals would be released as "The Crickets". The scheme allowed them to get more releases on the radio then trying to saturate the stations under one name.Over the next two years, the band would score with That'll Be the Day (1957 / #1 Pop / #2 R&B), Oh Boy! (1957 / #10 Pop / #15 R&B), Maybe Baby (1958 / #17 Pop / #8 R&B) and Think It Over (1958 / #27 Pop / #9 R&B) under the Cricket's name and Peggy Sue (1957 / #3 Pop / #3 R&B), Rave On (1958 / #37 Pop), Early in the Morning (1958 / #32 Pop), Heartbeat (1958 / #82 Pop / #4 R&B) and It Doesn't Matter Any More (1959 / #13 Pop) as Buddy Holly.The dream came to an end on February 3, 1959 with Holly, Richie Valens and J.P. "The Big Bopper" Richardson were killed in a light plane accident outside of Clear Lake, Iowa. Holly had been on the tour as a solo artist while Mauldin and Allison were in the studio with Sonny Curtis and vocalist Earl Sinks recording new Crickets music. After Holly's death, they decided to continue as the Crickets with Sinks in the lead although he would be replaced the next year by David Box. Their first few recordings did not score but, in 1962, their take on Carole King and Gerry Goffin's Don't Ever Change, with Jerry Naylor on lead, went to number 5 in the U.K. That same year, they recorded the album Bobby Vee Meets the Crickets with Vee on lead. Mauldin left the Crickets in 1965 and moved into sound engineering, doing much of his work at Gold Star Studios in Los Angeles. He also occasionally reunited with Allison as the Crickets over the decades. The Crickets, including Mauldin, were inducted into the Rock and Roll Hall of Fame in 2012 in a special committee vote that was meant to right the mistakes made in the past of inducting lead singers without their backing bands. He is also a member of the West Texas Walk of Fame in Lubbock and the Musicians Hall of Fame in Nashville. A very sad day today with the passing of Joe Mauldin. I had the privilege and life long dream of seeing him perform with the Crickets, met with him and got his autograph. The best concert I have ever been to. All of the guys could not have been nicer and boy could they play. (I filmed most of the concert and I am looking into what to do special with their last concert footage. It's strange that when I was filming I knew this would be their last performance. For the past two years I couldn't stop with the feeling that it was their last concert ... one of the best nights of my life! On 1959 on February 3, 1959, Buddy Holly, The Big Bopper and Richie Valens died in a plane crash. I was eight years old at the time. I was already a big fan of Buddy Holly and The Crickets' music. When I woke up in the morning, my mom told me about the tragic accident. The radio was nonstop talking about the tragedy. Buddy Holly and the Crickets were my biggest stars and I could not believe he was gone. I kept saying to my mom that “I will never get to see Buddy Holly and the Crickets”! When the newspapers arrived, I clipped out the pictures and articles and posted them on the refrigerator. Days, weeks and months went by and I kept looking to the articles and pictures still in disbelief. I made myself a promise that if the Crickets ever came to the suburbs of Chicago I would immediately get tickets and fulfill my lifelong dream of seeing the Crickets. Years and years went by and I never saw anything regarding the Crickets. As I got older, I promised myself that if I ever heard the Crickets were ever performing anywhere in the United States I would go see them. Still never saw anything regarding them. 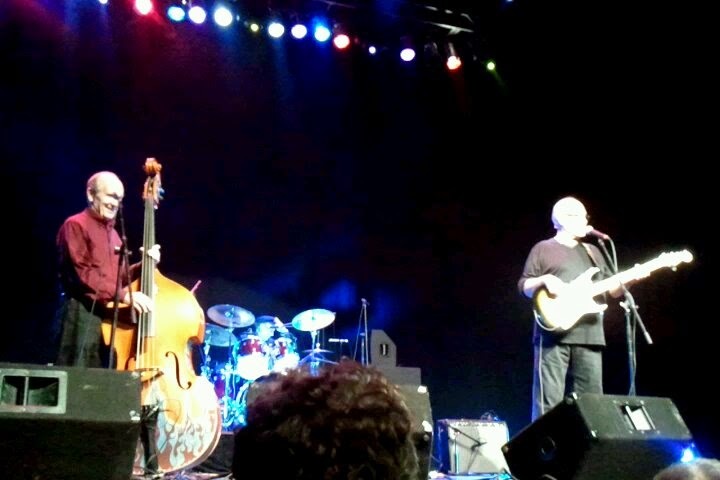 Then, in the summer of 2013, I was following Ron Onesti and the Arcada Theater in St. Charles, Illinois. Ron and his Arcada Theater is the biggest supporter of music groups in the Midwest. One night I was reading my e-mail and there was one from Ron Onesti, the owner of the Arcada Theater, about upcoming concerts. 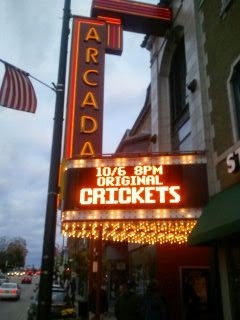 Jumping off the page, there it was ... “The Crickets are coming to the Arcada Theater on October 6, 2013”. Instant excitement! My lifelong dream will be coming to life after all. In my excitement I called out to my wife Deb about the upcoming Cricket Concert at the Arcada. I can honestly say that I was vibrating with total excitement for days to come. I could not sleep either. I immediately ordered the tickets. My lifelong dream of seeing the Crickets was going to come true. It only took 54 years of wishing, hoping and praying. The night of the big event we arrived 1 ½ hours early for the concert. I wasn’t going to take any chances of being late or anything going wrong. Arriving at the theater I found the parking place first car right in front of the Arcada Theater. That never happens. I walked to the rear of the theater to see if I could meet the Crickets, but the crew behind the theater said “no access”. 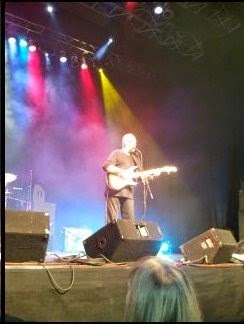 I asked about their gear and he said “They hardly have any equipment compared to all the other acts that have performed here ... basically Sonny and his guitar”. We waited until the front doors opened and took our seats. Second row in front of where Joe B. Mauldin was to be playing. I have always wondered why I could never really hear Joe playing the slap base. Tonight I will hear what I always wondered about. I had the privilege of talking with Lyle Zanker and other fans that thought this night would never happen. The guys are getting older. We were sitting in the second row and I was hoping I would not be disappointed in the guys and the quality of the music. Ron Onesti introduced them ... “Here are the guys that were at the very beginning of Rock and Roll ... the Crickets." They came walking out on stage right to a standing ovation that would not stop. Not only did they look good, they were walking in with huge smiles, waving and looking fantastic. Everyone was amazed that they looked 25 years younger than their true ages. Sonny started talking and from that moment, it was the most friendly, homey, laughter and exciting concert I have ever been to. They started playing all the songs we love and the sound was like nothing live I have ever heard. A three-piece band, sounding simply beautifully perfect! Real Rock N Roll. Sonny’s guitar work looks so simple, but simply mesmerizing with the resonating sound. Beautiful dead on licks! Joe B. working the Slap Bass was superb. Being right in front of him, all my questions were answered about not really being able to truly hear him on records. Every note he played came through the amp perfectly. Not only could I hear his sound perfectly, his sound was pounding in my chest on every note. A totally awesome experience! In a live performance I now understand how a three piece band was able to create the sound we all love. Back then the bass was equally important as any instrument. The music would not be the same without it. Jerry Allison is second to no one. His playing the drums resonates like nothing I have ever heard. The licks he plays keep going on and on. Once again a three piece band owns the stage with perfect blending to create a real rich sound. All thoughout the concert the guys were enjoying the concert as much as we were. Lots of stories and kidding. Probably the most perfect, homey concert I have ever seen. From the start of the concert, to the meet and greet, autographs, then pictures taken afterwards, fun was had by all. When my time came to meet the guys for my first time in 54 years I had thousands of questions. As I got close I totally forgot them all. Nerves! I said to Sonny, “I hope you all realize just how much happiness you have given to all of us fans with your music.” Sonny Said “I can only hope that’s true”! I thanked Joe for all the music. I thanked Jerry for all the music they gave to all us fans. My time came for pictures with the Crickets and I sheepishly stood between Jerry and Sonny. I was thinking this probably will be the only time I will ever get this chance. I put my arms around Sonny and Jerry’s shoulders and had my all-time favorite picture taken. Joe was finishing up signing the autographs. While I was in line for my time to meet the guys, the person in front of me in line asked Jerry (JI ) Allison a question regarding what he thought of the Buddy Holly imitators that are doing Buddy? Jerry said “They're not Buddy”! The guy asked a follow up with, "I understand they aren’t Buddy, but with all of the imitators out there, who is your favorite”? Jerry said “They are not Buddy! I would say I would give up everything I have to have Buddy come out on stage right now”! Jerry’s statement keeps resounding in my head. Every time I see an imitator I think of Jerry’s passionate response and I now don’t enjoy the imitators. He truly was Buddy’s best friend and still to this day he loves and truly misses him! We all do! Note: We always hear about the day the music died ... February 3, 1959. I have always hated that statement. Buddy Holly always said in interviews “The music they are doing will probably last 1 ½ years”. He knew music was always changing and no one knew it would continue. 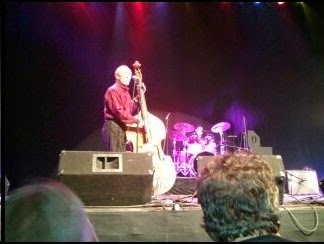 Seeing the Crickets 54 years later in concert has proven the music never died. A special note goes out to Nicki Sullivan. I first saw him on the record and on Ed Sullivan performing as one of the Crickets. I was amazed just how much he looked like Buddy Holly. After he left the Crickets, he went back to Texas. He made some fantastic songs with Norman Petty. He just didn’t want to tour. He passed away in the 80’s, but his contributions to the Crickets and his own music will never be forgotten. My dreams have come true in seeing the Crickets live in concert, talking to them, having my picture taken with them and getting their autographs. Thank you, Buddy Holly and all of the Crickets, for a lifetime of music that sounds as fresh and new today as it did so many years ago when it was first created and performed. Crickets drummer Jerry "J.I." Allison glanced over at bassist Joe B. Mauldin as they stood on top of Brooklyn's Paramount Theater and watched 1957 turn into 1958 during a New Year's Eve performance. "Joe B. and I were really having fun in New York," said Allison, who is now the last original Cricket who is still alive. "We had a lot of it so I'm sort of at a loss, but that was a great time and Joe B. and I said, 'Wow, look at this.' That was something special that I will remember forever." The Crickets continued touring up until about two years ago, when traveling just wasn't fun anymore, Allison said. But, the duo remained friends, even in Mauldin's final days. Allison received a call from Mauldin's wife about 8:20 a.m. Saturday letting him know about his former bandmate's death in Nashville. Mauldin was 74. He was born July 8, 1940, in Lubbock. Allison visited Mauldin two days before he died and said he had been suffering from cancer. Mauldin began studying standup bass in 1954 after borrowing one from his school. He eventually began playing bass full time with Buddy Holly and the Crickets while in high school and eventually went on to record rock 'n' roll classics including "That'll Be the Day" and "Peggy Sue." The Crickets were inducted into The Rock and Roll Hall of Fame in 2012 to correct the mistake of not including them when band leader Holly was among the first musicians inducted in 1986. They had previously been inducted into the West Texas Walk of Fame in Lubbock in 1986. "The best way I can explain Joe B. is that he was really a gentle soul and a gentle man. He never caused anybody any trouble and he was a great bass player," Allison said. "He knew exactly what to play, and when Buddy and Joe B. and I were playing together Joe B. didn't play too much. He played just right. ... He was right on beat. It was just good." Holly's older brother, Larry Holley, 89, still remembers the first time he met Mauldin and was sad to hear of his death. "I hated to hear that," Holley said. "He was very quiet and modest and he didn't ever have much to say, but he was a nice guy. Jerry Allison, he was just always talking, but Joe B was just the opposite." Allison and Mauldin had been friends since 1955. The two met at Lubbock High, spending the occasional school day sneaking out of study hall to smoke a cigarette. "It was horrible. 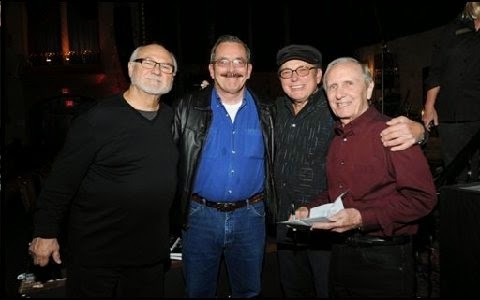 We had been friends together for 60 years and started up playing together for Buddy Holly. We worked until a couple years ago as the Crickets and it was sort of our life and he was like family. It's a really hard day," Allison said. "We were just always really good friends." In my very humble opinion, this is the finest edition of "Forgotten Hits" I have ever read. God, I must have played La Bamba 10,000 times and "Maybe Baby" still resonates with me today. Congrats, Kent, on a truly great series of pieces. Thanks for the new edition. You certainly put a ton of effort into the work. Sure brings back grand memories. I didn't make it to Iowa this year - a slight "under-the-weather- condition kept me here; had I gone the weather might have kept me there. I congratulate you on a well-crafted work. Most interesting, and sure brings back memories of great days and nights. So you may assume I am applauding. Thought you would enjoy this nice read about Bobby Vee and historical tie-in with Buddy Holly, Ritchie Valens, and the Big Bopper. Have a GREAT day! I'm going to be assimilating all that information for quite awhile. Great to have some snow days here, I guess. I made a copy of all the info to ship off to my Buddy Holly fanatics who have now hit 8th grade. Who knows? Some of these later fans will take up the torch and continue in all the things that we find important in life. OK, reminded that JFK said the torch is passed to a new generation. That is always our job ... passing on the important torches and snuffing out the hateful ones. It's funny in a way because one of my first thoughts when I first received the news about this new inquiry was the idea that society today seems to feel the need to cling to ANY type of "conspiracy theory" as a means of justifying that which they find hard to explain or understand. I don't think the phrase "conspiracy theory" existed until the Kennedy assassination ... but we've applied it to nearly everything since, whenever we just can't seem to accept or explain away the circumstances of any given event. I am not sure I completely understand you question. Are you asking if the rationale of John Wilkes Booth for killing president Lincoln was part some master plan involving others or are you asking if he acted alone as opposed to acting with co-conspirators? After the assassination, Booth was shot in a barn in Virginia where co-conspirator David Herold was captured. Eventually seven men (including Herold) and one woman were tried as co-conspirators by a military tribunal in a trial that lasted seven weeks and included over 300 witnesses. All were found guilty. Herold, Lewis Powell, George Atzerodt and Mary Surratt were sentenced to death and hanged, while Samuel Mudd, Samuel Arnold and Michael O'Laughlen were sentenced to life in prison and Edmund Spangler was given six years in prison. Surratt has the distinction of being the first woman executed by the United States. Obviously, all of the co-conspirators were consider by the military tribunal to have taken at least some part in the plan (conspiracy) to kill Lincoln and they were all southerner sympathized who were believed to have blamed Lincoln for the war. There were a few people who believed that Booth was not killed in a barn in Virginia. Instead, he allegedly escaped and fled to Granbury, Texas, where he lived under the name John St. Helen for many years before moving to Enid, Oklahoma, dying there in 1903. The reason that there were so many conspiracy theories after Kennedy was assassinated is because America was in the midst of a cold war with Russia at the time and many people thought, or at least wanted to believe, they had something to do with his death. A couple of years ago, there was quite a bit of pot-stirring when Dion DiMucci published in his biography that HE was the one involved with the coin toss that resulted in HIS seat being given up to Ritchie Valens that fateful night. Certainly NOT the story we've all been told for the past 50+ years ... and I was quite angry (and disappointed) to see Dion making this claim NOW, all these years later. So was Tommy Allsup, one of Buddy's original Crickets that night ... who was the one involved in the legendary coin toss ... and he spoke his mind quite angrily right here in Forgotten Hits. You can relive that sequence of events below ... once again you'll see that we consulted Buddy Holly historian Ed Parker for his take on this "news"!!! I'm reading Dion's book "The Wanderer Talks The Truth". Buddy Holly and the pilot were going for sure, leaving two seats. Dion and the Big Bopper won the coin toss. When Dion found out it was $36 for the trip, he changed his mind and gave his seat to Ritchie Valens. First time I ever heard this story. I've always heard that Tommy Allsup and Waylon Jennings won the coin toss and gave up their seats to the Big Bopper and Ritchie Valens. I'd like to hear what some of the experts on your list think about this story. The flight was to be for Buddy's band - Tommy Allsup on guitar and Waylon Jennings on bass - but the Big Bopper had a cold, and asked Waylon for his seat on the plane. Waylon said, "It's all right with me if it's all right with Buddy. You go ask him." Obviously the Bopper was accepted on the plane since we all know what happened on that fateful day. At this point it was now the Bopper, Allsup, and Buddy scheduled to fly, with Ritchie pestering Tommy for his seat on the plane. Tommy flatly refused. The manager of the Surf Ballroom - the last place Buddy, Ritchie, and the Bopper performed - was a man named Carroll Anderson. He drove the Bopper, Allsup, and Buddy to the airport, but on the way, Allsup asked Anderson to drive back to the Surf to make sure they picked up all of their gear. When they did, Allsup went in and found Valens signing autographs. Valens, despite his fear of flying, also had a cold and again begged Allsup for a spot on the plane. Allsup finally relented, and it was Allsup and Valens who flipped a coin at the Surf, and we all know how that ended up. Let's say for the sake of argument that it was Allsup and Jennings who won the coin toss. They would've been on the plane, since the key word there - winning - indicates something positive. In their situation, the positivity would have been for them to get out of the frigid Midwest and to Fargo, ND, which was across the river from their next gig in Moorhead, Minnesota, quicker than the rest of those on the tour. To indicate that they "won" the coin toss only to be left behind doesn't make any sense. Notice how, in 'La Bamba,' the film showed Buddy flipping the coin - outside. It's nonsense, and if Diana ever does get Marshall Crenshaw to play a gig for us, one of the things I'll ask him is how he felt about that scene, since it's completely wrong. Then this from Tommy Allsup ... this guy was THERE that night, playing in Buddy Holly's band! I have to imagine he'd know a few of the pre-flight facts better than just about ANYBODY!!! Dion, to end all your lies about flipping the coin with Ritchie Valens, and to end all your vicious character assassination of all the parties involved, people you NEVER knew to begin with, I officially challenge you to meet me in Clear Lake, Iowa, and submit to a polygraph test ... NOW. If you are telling the "truth" as you profess, you should be a man and step up to the challenge. This challenge is backed up with the full support of Bob Hale, (MC of the Surf Ballroom WDP show in ‘59), Barb and Jerry Dwyer (owners of the flight service as well as friends and employers of the late Roger Peterson) and Connie Lemos (Ritchie Valens’ sister), who represents the Valens family. It is equally backed up by my legions of friends in the music business, fans and family. Buddy Holly chartered that plane for himself, me, and Waylon Jennings. You never had a thing to do with this. In fact, Buddy barely spoke to you so he certainly wouldn't have offered you a seat on the plane! You brag about how you were on a previous tour with him in the fall which is supposed to make us think you really knew him. Well I was his friend for the last year of his life and toured with him and I played on some of his songs! You were never in any "closed room" with Buddy for a meeting about the plane trip. You never flipped any coin. Bob Hale took Buddy in to Carroll Anderson's office to call Jerry Dwyer's Flight Service. And Bob Hale saw me flip that coin with Ritchie Valens ... and he's still alive to confirm that. Are you calling him a liar as well? Frankie Sardo, who was also there that night, has also publicly stated that he witnessed the Big Bopper negotiating to get Waylon’s seat on the plane. Frank is still around to confirm this as well. Waylon Jennings has also stated in numerous documentaries that he gave his seat up to the Big Bopper. Do you really think Buddy would invite one of his band mates, Waylon, and not me? Buddy was my friend and he was also Waylon’s friend. He invited us on the tour with him and he felt responsible for us. Do you really believe, with his drummer Carl Bunch in the hospital, Buddy would disregard his closest friends and band mates and the hell we were going through on that bus and get in a “closed room” with you and invite you instead?? That makes absolutely no sense. How convenient also that you bring all this up in the past year leading up to your new book release this coming April. All this controversy ought to drum up sales, right? Yes, too bad none of it is true. It’s interesting how in your previous biography, you didn’t mention being in a closed room alone with Buddy, Ritchie and J.P. and flipping a coin for the seat. Why not? You would think that would be important enough to mention, no? You didn’t mention it because you had yet to make it up in your own clouded mind. Frankie Sardo and Bob Hale are two people alive today that witnessed me and Waylon give up our seats to Ritchie and J.P. These were our seats to give up! Do you have any witnesses? Do you have anybody that even comes close to backing your story up? Nope, I didn’t think so. We lost four young souls that day and we can never get them back and it makes me sick to see someone just come out of the blue with NO facts and rewrite history to make a quick buck, disturb the families of the victims, and maybe grab one last moment in the spotlight. Before you filmed your interview about the Winter Dance Party tour with the Rock and Roll Hall of Fame, you also made several calls to Sevan Garabedian and Jim McCool, respected documentary filmmakers on the Winter Dance Party tour and asked them several questions about the Winter Dance Party tour. Why are you asking them about the tour? You were there, weren’t you? Well, it makes sense to ask researchers like them for information, especially if you barely remember any of the things that transpired on the tour. Sevan and Jim have filmed interviews with six of the surviving musicians from the Winter Dance Party tour (including myself) and every one of them has heard what you had to say and had a nice chuckle about it. They certainly didn’t agree with anything you had to say in their interviews -and these are six musicians that were on the tour!!! The evidence is out there Dion, and it’s creeping up on you faster and faster. I want you to know my true feelings about you. I backed you and The Belmonts for a month in 1959; the Belmonts were good; but watching YOU play guitar on just three open chords doesn't make YOU a musician. Ritchie Valens and Buddy Holly ... now THEY were fine guitar players. I can still, at age 79, back-up my playing and singing, can you? You got lucky on a mere few records in the 1960's; but then again, fast forward, and so did Milli Vanilli!!! But the public wised up and they were exposed for all their lies ... just as your lies will be exposed. Buddy's music and his kindness will live forever; as will Ritchie Valens' fine guitar playing as well as La Bamba, and The Big Bopper's Chantilly Lace ... but I think Runaround Sue ran out the door long ago and The Wanderer wandered off into a drug haze! I am not nor have I ever been a liar; my solid Christian values, and my integrity and valor are the threads of my foundation. If Maria-Elena Holly says "Dion knows the truth," so be it. But come on, are we really supposed to take the word of a woman who didn't even ATTEND her own husband's funeral as truth? And her "claims" of pregnancy ... read MY book, Dion, about the truth concerning that as well. I'm sure you'll purchase it and can do so at tommyallsup.net. WHY have you never, ever contacted Buddy's brothers (and family) in Lubbock if you shared such a "tragic moment" with Buddy? They will also tell you the truth about Maria-Elena. Heck, the entire Buddy Holly community knows the truth about Maria Elena. Having her on your side hurts you more than helps you! I was VERY close to Buddy; I know what he said and did during that tour; you do not. Buddy BARELY spoke to you at all. And now you're trying to make a dime off of lies about those who should be left to rest in peace? And you spew these lies yet profess yourself to be a CHRISTIAN? You and past televangelists have a lot in common, don't you? You should be very afraid of your judgment in front of God, for all the lies you've told about fine and upright people; all for the sake of reclaiming another 15 minutes of fame. You stated something about planting seeds in your DVD; you best watch what you say as those "seeds" will eventually grow and devour you. My future will not change by not getting into the Rock Hall of Fame. Nor will it change if the present management of the Surf Ballroom backs your lies as truth for the sole purpose of trying to get you to finally come to the Surf, something they have been desperately trying to do for years now. You keep recirculating and reposting The Surf's letter to you on your Facebook as if to "convince" people that your lies are truth. But they were not there in 1959 ... I was there and yes, so were you, and so were the rest of the musicians who in Sevan and Jim’s documentary have a laugh about what you claim to be the truth. And to discredit Roger Peterson's ability as a pilot? You say in your DVD that he was kicked out of many flight schools. That simply isn’t a fact. Did you look that up? Of course not. But you did however break the hearts of Roger Peterson’s friends and family by spewing these lies 52 years later. Haven’t they suffered enough, Dion? You also claim that Jerry Dwyer hired Roger out of pity. Also not a fact. In fact, Jerry’s business partner and wife Barb Dwyer hired Roger (and not Jerry as you claim) because he was an extremely competent pilot. Jerry happens to be one of the most respected and decorated pilots in the country. Who are you? Are you an expert in aviation? You were actually caught in two lies with those statements alone. Shame on you. What do YOU know about Roger Peterson? And you made Ritchie Valens' sister cry in disgust after watching all the lies you told in your DVD, which happened this past February at the Surf. Ritchie’s sister said her mother and brother would be ashamed of you right now. Ritchie’s sister approached the president of the Surf Ballroom in tears after seeing your DVD and asked him how could they show that, with all the lies? You have a clearly evil and devious soul. In fact, as far as the Rock Hall goes, if they're backing your lies, then I don't ever want in. After all, we ARE judged by the company we keep. *.. You claim after you heard about the crash, you got back on the bus and Buddy's guitar was laying there for you to look at. FACT: Buddy's guitar along with Waylon Jennings' bass and my guitar were stored in the luggage rack ... OUT OF SIGHT. *.. You never sat next to Buddy; not one time ... on the bus. He barely spoke to you! Either Waylon Jennings or myself were always with him. *.. Why was MY WALLET found at the crash site, in Buddy's possessions? Because since I lost the coin flip with Ritchie at the last minute and Ritchie was flying, Buddy took my I.D. so he could pick up mail awaiting me in Fargo! *.. You cannot dispute Jerry Dwyer's knowledge of pilot Roger Peterson. Jerry was at that time one the most respected men in aviation history and still is today. He was also Roger's employer and friend. Roger's aviation record is available for everyone to research. The things you said about him are fantasy and lies. Just based on the things you said about him, your credibility is shot. *.. You were never asked to write songs with Buddy. Why would he have asked you, someone he barely spoke to, when Jerry Allison, his co-writer was on the three week tour with him in October, 1958? *.. You didn't go into the hotel first the day after the crash. Sam Geller (road manager for GAC) and I walked in first. Evidently, you scored that nugget of info from reading facts about me! *.. You sat on a couch with Ritchie Valens' sister years ago at the Waldorf-Astoria, for Ritchie Valens' induction, and NOT ONCE did you mention this coin flip with Ritchie. You also never mentioned it in your previous biography or in other interviews you've done prior to the Rock and Roll Hall of Fame one. WHY? I can tell you why ... it never happened with you! *.. The yellow bus you say we toured in was used only ONCE; not the whole tour as you state it was. *.. And why does everybody in the know, researchers and fans alike, including ALL the other surviving musicians from the Winter Dance Party tour back me up and NOT you? Quite the piece ... but we've got a couple of things going on here. Passionate? Yes. Hurt and Angry? Without a doubt. But I think Tommy drifts off-stream here a little bit when he attacks Dion's music prowess ... without question, Dion was one of the biggest stars of that era and there's really no need to take pot shots at "Runaround Sue" and "The Wanderer", two of the biggest hits of the '60's and two songs that have clearly stood the test of time. That's where Tommy's anger gets in the way of the REAL issue here. Attack Dion's character and call him a liar ... that's fine ... you were there ... and the fact that this story has never surfaced until now leaves things suspect at best. But the question remains ... WHY?!?!? Dion can certainly rest on his musical laurels without having to change the story and rewrite history. If it was a tactic to help sell books, it might have pushed a few extra copies but the end result is that he loses ALL credibility in the process! And (as they say) if THIS "fact" is fiction, what ELSE in the book is ALSO embellished (or completely fabricated)? Too bad ... 'cause there was absolutely NO reason to do it. "After a concert stop in Clear Lake, Iowa, (Buddy) Holly and others decided to take a flight to the next venue rather than travel on the tour bus. Dion was invited to accompany the group but decided that he could not afford the cost of the $36 flight, as it was the same monthly rent his parents paid for his childhood apartment and he couldn't justify the indulgence." "(Dion and the Belmonts') most fateful appearance was certainly February 2, 1959, when they appeared in Clear Lake, Iowa on a program with Buddy Holly, Ritchie Valens, and the Big Bopper. At the show’s conclusion, Dion was asked to pitch in thirty-five dollars to charter a plane to the next concert site. He chose to travel in the bus instead, and thus was spared when the plane carrying Holly and Valens crashed in a cornfield." During intermission the back-and-forth conversation between The Big Bopper and Waylon Jennings took place, resulting in Waylon giving up his seat to Bopper. At that point Waylon uttered a phrase that would haunt him all his life – “Well, OKAY, but I hope your plane crashes!”Years later, at a social gathering in Kentucky, Waylon and I recalled that night. He said: “Man, there isn’t a day goes by that I don’t wish I could take back that comment. The next day when I got the news in Fargo, I went nuts. I cried, I yelled. And I began to drink. Drugs helped along the way. Of course, I realized years down the road I was killing myself, so I quit. I don’t know, maybe deep inside I was so damned guilty, I was trying to kill myself!” He admitted that no matter how long he'd live, he’d always be haunted by Feb 3rd 1959. Tommy said, “OKAY,” and went out to the car to retrieve his bags which he’d already put in Carroll Anderson’s car. Regardless which version of the coin toss you hear or accept neither Tommy nor I demand “ownership.” We’ve talked about this, and have no emotional investment in either version. What we agree on is that night was a tragedy and an extremely emotional one for us all. The good news is, LJ is actually getting some answers to some of his questions ... but some of these answers have sparked a brand new round of questions ... read on! I received information that the owner of Bonanza N3794N from February 3, 1959, (Mr. Hubert Jerry Dwyer ) is not in good health and unable to respond at this time. Mr. Dwyer has always maintained that he has "New Evidence" that would change the Civil Aeronautics Board Aircraft Accident Report adopted on September 15, 1959, and released on September 23, 1959. In addition, Bonanza N3794N is still in a holding environment according to Mr. Dwyer. Barb and Jerry Dwyer owned and operated Dwyer Flying Service from 1953. The service was certified by the FAA to carry passengers for hire in VFR conditions (Visual Flight Rules), both day and night. All of the Flight Instruments in mention were already installed in N3794N when the aircraft was purchased by Dwyer Flight Service. All of Pilot Roger Peterson's flight time (Day, Night, Instrument, in N3794N) was with / on the same instruments that were in the aircraft when Dwyer Flight Service purchased N3794N in July of 1958. Pilot Roger Peterson prepared N3794N for flight. It was reported by owner Jerry Dwyer that "They knew about the flight day's in advance. STILL IN QUESTION: Was the weight and balance calculations accomplished with the First Two Intended Passengers, Jennings and Allsup ... or Was the weight and balance calculations refigured in the very last minutes, when the New Passenger Swap Took Place? There was also a report of a possible 39 gallons of fuel (234 pounds) - Where is The Fuel Receipt on the fuel loaded for the night of February-3-1959? (Mason City to Fargo was estimated to be a two hour flight the night of February 3, 1959 ... what did the fuel gages indicate in N3794N at the crash site? (It should be noted that in 1952 a reconditioned engine Continental Model E-185-8 was installed which Added an additional 22 pounds) Where is the weight and balance calculations form for N3794N the night of February 3, 1959? Only A Trace of Snow (Not A Snow Storm) was reported between 0100 - 0930 February 3, 1959. Part of the tail section was found about 1,500 feet away and the right wing was found about 3,000 feet away from the wreckage. In the crash site pictures, only the left wing lays next to the fuselage. Or did the right wing actually impact the farm field first?